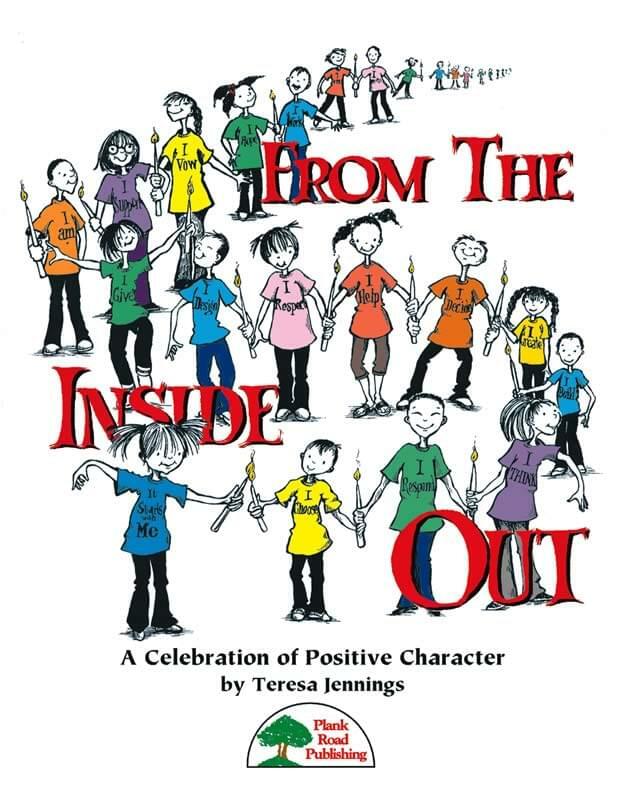 From The Inside Out - The title song is a powerful statement of the theme of this revue. Set in an energetic symphonic rock style, it invites students to jump right in with enthusiasm from the very start. It is truly uplifting. I Promise - This second song of the revue is written simply enough to be performed by your youngest singers. Given the importance of the subject, however, you may wish to use it with older singers as well. Rhythms and melodies are easy and repetitious, and the song is unison throughout. The lyrics reinforce the virtues of honesty, truthfulness, and keeping promises. Responsible - This song focuses on some very specific issues regarding character in a style that your students will identify with and appreciate. They will feel right at home with the contemporary percussive rock beat. My Personal Code - The beginning of this dramatic song leads us to believe that it will be a gentle ballad. One soloist shares his/her philosophy with the audience to the strains of a delicate piano accompaniment. Just as the soloist is coming to the conclusion of the statement, the entire piece changes abruptly (with a large crescendo) and becomes a rock tune with a driving pulse. It Starts With Me - A natural extension of the message of this revue is stated in this powerful finale. The whole point of improving our character is to improve our world. One at a time, we get better and stronger. We share our knowledge and our experience with each other. We take control of our minds and our spirits. And we pass it along until the whole world is affected by this amazing movement. What better way to do it than through music? Because we wanted to make a special effort to include your older students in this revue and in its message, we have provided a nifty a cappella vocal introduction to this song. It is optional, and the song will work well without it. Don't miss this opportunity to share this inspirational revue with your students. They will carry the lessons they learn here for the rest of their lives.